Stiff Ring made of special formula alloy aluminium. It used to correct the car body basic geometry by filling the gap between the sub frame bolts, sub frame and the car body bolt hole. Car engine, transmission, suspension and the body shelf are mounted on the sub frame. Thus, correcting the geometry setup with Stiff Ring, the car handling will be improved significantly. 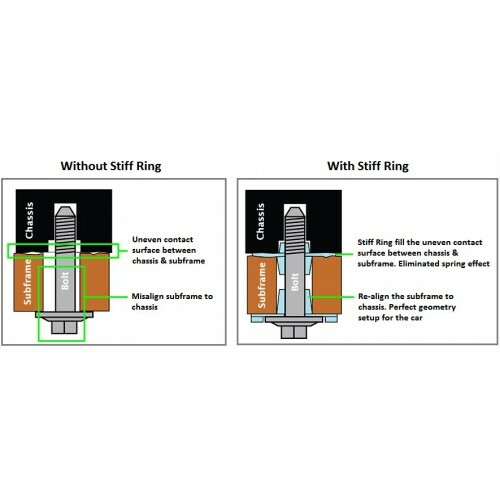 By eliminating this free gap, vibration to the car chassis & undercarriage will greatly reduce. This helps to protect & prolong the car undercarriage parts life span. Eg: Steering rack, lower arm and etc. 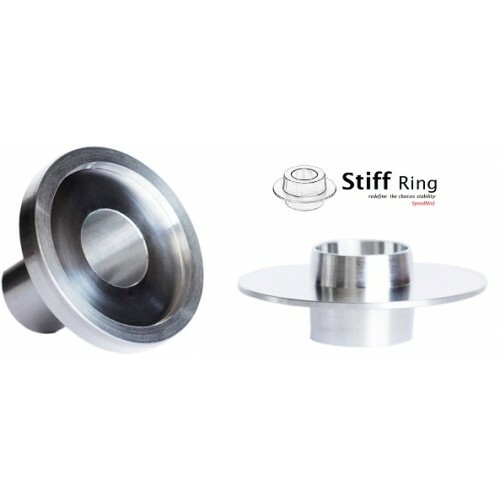 We have used special formula alloy aluminium material without compromise to the quality and effect of the Stiff Ring. Our product is strictly controlled under strong Quality Control. There is no doubt to our Stiff Ring quality. 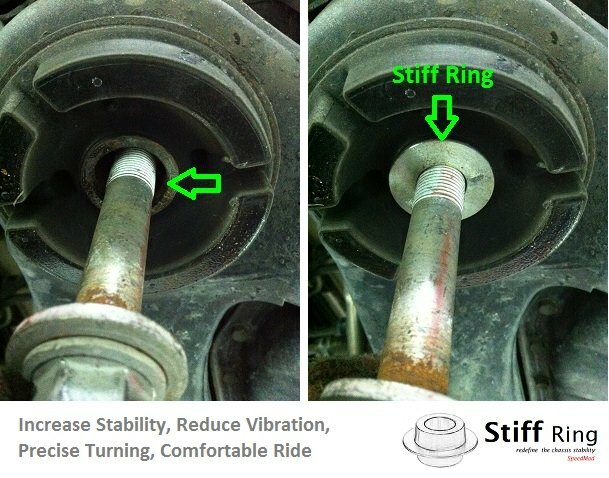 Free gap in between bolt and subframe, lead to unresponsive steering and unprecise turning. Subframe misalign to chassis. No free gap in between, free gap is fully filled up, improve handling and offer precise turning angle. Subframe is perfect align to chassis.